SpaceX returned its Falcon 9 rocket to flight Saturday with a mission that delivered ten Iridium NEXT communications satellites into low Earth orbit. 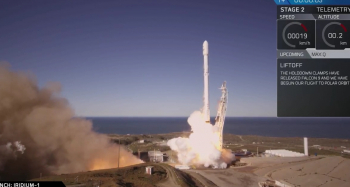 Liftoff was on time at 09:54 local time (17:54 UTC) from Vandenberg Air Force Base, California. 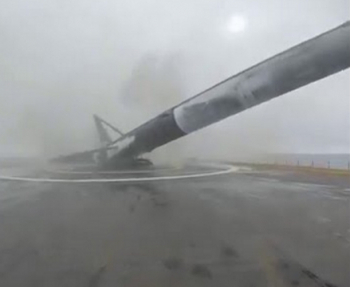 SpaceX also successfully landed the first stage booster on a drone ship in the Pacific Ocean. Saturday’s launch was the first for SpaceX since a Falcon 9 exploded on its launch pad at Cape Canaveral last September, while undergoing fuelling ahead of a static fire test two days before the scheduled launch of the Amos 6 satellite. An investigation into that failure determined the cause to be structural failure of a composite overwrapped pressure vessel (COPV) in the second stage liquid oxygen tank. The COPV , which stores helium for tank pressurization, was caused to buckle and burst by oxygen which became trapped between its carbon wrapping and aluminum liner and solidified due to the extremely cold temperature of the COPV. While not a launch failure in the sense that Falcon was not attempting a launch when it exploded, September’s accident was the second loss of a Falcon 9 and its payload following a June 2015 failure during the attempted launch of the CRS-7 Dragon mission to the International Space Station. The 2015 failure was also traced back to a second stage COPV – in that case the vessel came loose from its mountings and overpressurized the oxidiser tank. In twenty-eight flights to date – excluding Amos 6 – the only other Falcon 9 launch which has not been wholly successful was the October 2012 launch of the first CRS Dragon mission, CRS-1, which carried an Orbcomm communications satellite as a secondary payload. During ascent, one of the rocket’s nine first stage engines failed and the second stage was required to use more of its propellant to achieve Dragon’s planned deployment orbit. This left the rocket with insufficient fuel for the safe completion of a second burn in order to reach Orbcomm’s deployment orbit so that satellite was discarded into the same orbit as Dragon; without a propulsion system for orbit-raising, it decayed within a few days. Dragon completed a nominal and successful mission. Before introducing the Falcon 9, SpaceX built a smaller rocket, the Falcon 1, to gain experience. With a single Merlin engine powering its first stage and a smaller Kestrel engine on the second stage, Falcon made five launches between 2006 and 2009. Its first three launches failed, but in September 2008 Falcon 1 became the first commercially-developed and funded liquid-fuelled rocket to reach orbit. In July of the following year the rocket made its only successful operational launch, with Malaysia’s RazakSAT spacecraft. 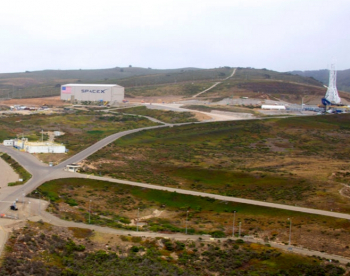 Further commercial launches with an enhanced version, the Falcon 1e, were planned but never materialized, with SpaceX opting instead to fly smaller satellites as secondary payloads on the Falcon 9. Falcon 9 is a two-stage rocket, with both stages fuelled by RP-1 propellant which is oxidized by liquid oxygen (LOX). Propulsion is provided by SpaceX’s own Merlin engines, with nine on the first stage and a further, vacuum-optimised, engine on the second stage. The Falcon 9 has flown in three different configurations, each representing a further refinement of the design. The initial version of Falcon 9, retrospectively known as the Falcon 9 v1.0, was used for the first five launches and had its first stage engines arranged in a square grid pattern. From the sixth launch onwards the Falcon 9 v1.1 was introduced, with both stages stretched, more powerful Merlin-1D engines in place of the Merlin-1C used on early flights and the first stage engines rearranged into an octagonal – or OctaWeb – pattern. 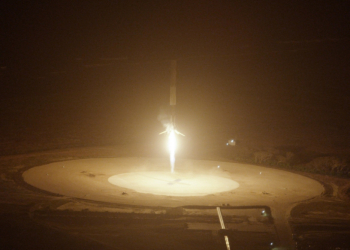 The v1.1 configuration, which made fifteen launches between September 2013 and January 2016, was the first version of the Falcon 9 on which first stage recovery was attempted – rockets with sufficient performance flew with optional landing legs and three missions – CRS-5, CRS-6 and Jason 3 attempted landings on SpaceX’s Autonomous Spaceport Drone Ships (ASDS). All three landing attempts were unsuccessful. In December 2015 – Falcon’s first launch after the loss of the CRS-7 mission – the rocket flew in a new configuration which has become known as the Falcon 9 Full Thrust (FT) or Falcon 9 v1.2. Officially, SpaceX name all their current rockets as just “Falcon 9”. This vehicle further stretches the second stage, introduces uprated engines and densified, supercold liquid oxygen oxidiser. These upgrades further increased the vehicle’s payload capacity, allowing a greater range of missions – including launches to geosynchronous transfer orbit – to attempt first stage landings. On its maiden flight, carrying eleven Orbcomm satellites, the Falcon 9 FT achieved its first successful landing, returning to Landing Zone 1 – the former Launch Complex 13 – at Cape Canaveral. Designated Iridium-1 by SpaceX, Saturday’s mission was the first of eight SpaceX currently have scheduled for Iridium, as Iridium look to modernize a constellation of nearly-twenty-year-old satellites. The majority of Iridium’s satellites were launched between 1997 and 1999, with replenishment launches taking place in 2000 and 2002. Iridium’s original constellation was launched by an international fleet of rockets. Sixty were launched in groups of five atop Boeing’s Delta II rocket, flying from Vandenberg Air Force Base in its 7920-10C configuration. Eleven of these launches took place during the initial deployment of the constellation, while the twelfth was a replenishment launch in 2002. A further twenty-one satellites launched in three groups of seven via Russia’s Proton-K rocket, utilizing a Blok DM2 upper stage – a commercial version of the Blok DM-5, and lifting off from the Baikonur Cosmodrome. The remaining satellites were launched in pairs. Six of these pairs flew aboard China’s Chang Zheng 2C/SD rocket from the Taiyuan Satellite Launch Centre. The Change Zheng 2C/SD was a three-stage version of the Chang Zheng 2C developed specifically for the Iridium launches. The final two pairs of satellites were launched in 2000 and 2002 atop Russia’s Rokot/Briz-KM vehicle. For their second-generation constellation, Iridium has opted to let SpaceX’s Falcon 9 do most of the heavy lifting, with six ten-satellite launches and two five-satellite launches booked. The first five-satellite launch, slated for early 2018, will also carry the two GRACE-FO gravimetric research satellites for a NASA-led international scientific partnership. Iridium had also planned to launch some satellites on ISC Kosmotras’ Dnepr rocket. However, Dnepr’s future is uncertain due to political issues and in light of the delays this has caused, Iridium appear to have canceled their contract with Kosmotras. 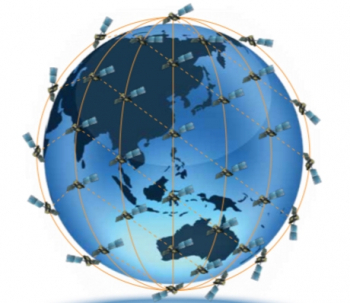 The Iridium constellation uses sixty-six satellites in low Earth orbit – in six planes of eleven spacecraft – to provide worldwide mobile communications. The constellation was originally planned to use seventy-seven spacecraft and was named after the metal Iridium, which has atomic number 77. 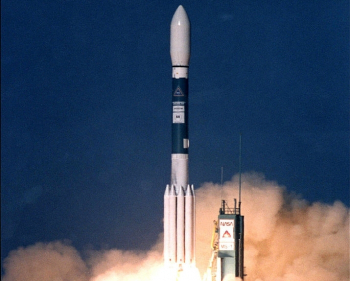 Initially bankrolled by Motorola, the high initial setup cost of the constellation – estimated at around five billion dollars – combined with slow customer uptake and inability to offer any service until the full satellite fleet was in orbit, led to the bankruptcy of the original Iridium SSC in 1999. In 2009, Time Magazine described the failure of Iridium as one of the “ten biggest tech failures of the last decade”. Iridium Satellite LLC, later Iridium Communications, was formed in 2001 buying the company for a fraction of the value of its assets. The first-generation Iridium satellites were contracted by Motorola, with Lockheed Martin developing the LM-700A bus upon which they were based. The 689-kilogram (1,520 lb) satellites had a design life of eight years. However, the youngest satellite in the constellation has now been on orbit for fourteen and a half years. The unique arrangement of the first-generation satellites’ communications antennae caused the unexpected phenomenon of Iridium Flares, a visual effect where sunlight reflects off of an antenna in such a way that the satellite’s brightness, when observed from a specific location on the ground, briefly far exceeds the brightest stars. Any satellite with reflective surfaces – such as antennae or solar arrays – can flare – but none with the frequency and predictability of Iridium, whose flares can normally be forecast to the second. 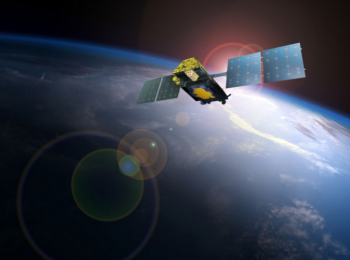 The next-generation satellites are not expected to flare in the same way their predecessors do. 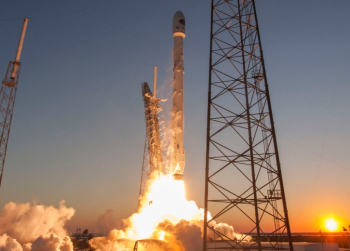 Once Iridium-NEXT is operational, the first-generation satellites will be deorbited. The Iridium constellation also attracted attention in 2009 when the Iridium 33 satellite collided with Kosmos 2251, a Russian Strela-2M communications satellite which had been launched in 1993. The collision produced a cloud of debris from both spacecraft in orbit and left Iridium 33 inoperable; Kosmos 2251 was already derelict at the time of the accident. Thales Alenia Space is the prime contractor for the Iridium-NEXT constellation, which will consist of eighty-one satellites including ground spares. Original plans called for sixty-six operational satellites, six on-orbit spares and nine ground spares. However, with the cancellation of the Dnepr launch – which was to have carried two satellites – only seventy are currently manifested to fly. Assembly of the satellites is being conducted by Orbital ATK, using a production line facility set up at their facility in Gilbert, Arizona. The total cost of the program has been estimated at around three billion dollars. Based on the ELiTeBus-1000, or Extended Lifetime Bus, platform, each Iridium-NEXT satellite has a mass of 860 kilograms (1,900 lb) and a design life of ten years, although Iridium hopes the spacecraft will continue in service for at least fifteen. ELiTeBus is an extended-lifespan version of Thales’ Proteus bus and has also been selected by Iridium’s competitor, Globalstar, for their second generation of satellites. Each Iridium-NEXT spacecraft is equipped with L- and K-band transponders, communicating with handsets via the L-band, while providing crosslink to other satellites and downlink to ground stations via Ka-band. Iridium’s crosslink capability allows each satellite to relay communications through the spacecraft in front and behind in the same plane, and to its counterparts in adjacent planes. 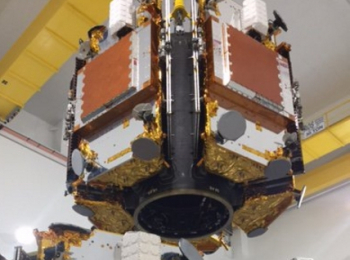 As a member of the Hosted Payload Alliance, Iridium has provided for each satellite carry an additional payload of up to 54 kilograms (120 lb), which can draw 90 to 200 watts of power from the parent spacecraft and integrate directly with the Iridium constellation for communications. All Iridium-NEXT spacecraft are equipped with Automatic Dependent Surveillance Broadcast (ADS-B) receivers which will be used to establish a worldwide monitoring system for air traffic. These payloads will be operated by Aireon LLC, a partnership between the Canadian government and Iridium. Fifty-eight satellites will also carry an exactView-RT payload for exactEarth, consisting of an Automated Identification System (AIS) receiver to relay tracking data from ships at sea. Both the ADS-B and AIS receivers are manufactured by Harris Corporation. Additional hosted payload space will be made available for Earth observation, scientific and commercial payloads. A single payload can be carried, taking up all available space, or alternatively smaller SensorPOD units can be carried. The SensorPOD is designed to be a standard-class hosted payload, similar in concept to the free-flying CubeSat standard. Saturday’s launch was the first Falcon 9 mission from Vandenberg Air Force Base since Jason-3 in January 2016. Falcon launches from Vandenberg use a former Titan IV complex, Space Launch Complex 4E (SLC-4E). The nearby Space Launch Complex 4W, which was last used by the Titan II(23)G rocket, has also been assigned to SpaceX for use as a landing pad. 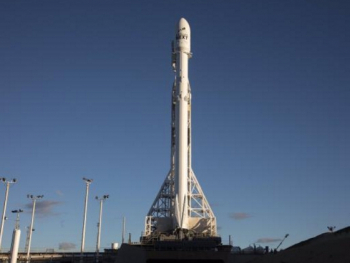 Ahead of the Iridium launch, Falcon was erected on its launch pad and underwent a successful static fire test on 5 January. The rocket was then rolled back to its hangar for payload integration. Fuelling for Wednesday’s launch began with RP-1 loading, seventy minutes before liftoff, following a poll to proceed eight minutes beforehand. 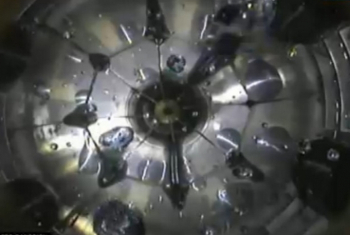 RP-1 loading began first, followed by liquid oxygen at the forty-five-minute mark in the count. Once the oxygen load was complete, the tank continued to be vented and topped off throughout the remainder of the countdown as the oxidizer evaporated. Chilldown of the first stage engines began seven minutes before launch, with the nozzles also undergoing motion checks for thrust vectoring in order to provide attitude control during flight. In the last few minutes of the countdown the strongback, which was used to transport the rocket to the pad, raised to vertical and provide umbilical connections, rotated away from Falcon. Two minutes before liftoff, the US Air Force’s Range Control Officer (RCO) gave a final confirmation that the Western Range was ready to support the mission – after successfully chasing a boat out of the range. Thirty seconds later the Launch Director gave his final clearance for launch to proceed. Pressurization of the Falcon’s propellant tanks occurred one minute before launch. Three seconds before the countdown reached zero, the first stage ignited its nine Merlin-1D engines, ramping up to full thrust for liftoff. 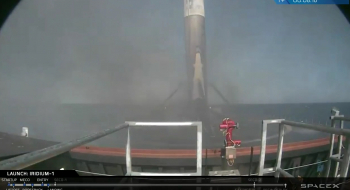 Sixty-nine seconds into flight, the rocket passed through the area of maximum dynamic pressure, or Max-Q. The first stage burned for the first two minutes and twenty-four seconds of flight. Three seconds after cutoff, the first and second stages separated – the second continuing towards orbit with the payload while the first stage descends to attempt a powered landing on the Autonomous Spaceport Drone Ship (ASDS), Just Read the Instructions. Ignition of the second stage took place eight seconds after stage separation, beginning a six-minute, 34-second burn. 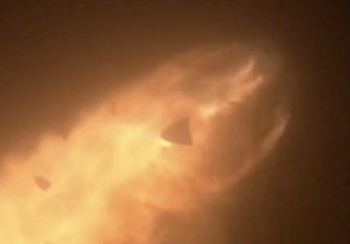 Forty seconds into this burn, the payload fairing separated from the nose of the rocket. After the second stage completed its first burn, the mission entered an unpowered coast phase lasting 43 minutes and 21 seconds. At the conclusion of the coast, the second stage restarted for a four-second orbit circularization burn. Separation of the Iridium spacecraft took place over a fifteen-minute period, beginning at 59 minutes, 16 seconds mission elapsed time – six minutes and 42 seconds after the end of the second burn – and concluding at 74 minutes, 16 seconds mission time. While the second stage was still making its first burn; the first stage performed a controlled descent with engine firings to arrest its downrange motion and reduce velocity as it reentered the atmosphere. As it approached the drone ship, a further burn slowed the vehicle to bring it to a stop atop the barge. SpaceX’s drone ships, Just Read the Instructions and Of Course I Still Love You, are named after ships in the stories of author Iain M. Banks. The barge which used for Saturday’s launch was the second Just Read the Instructions – the first of its name was converted back to a regular barge after supporting the CRS-5 and CRS-6 landing attempts off the coast of Florida. The new Just Read the Instructions is SpaceX’s dedicated West coast barge, while Of Course I Still Love You performs the same function on the East coast. SpaceX has successfully recovered six Falcon 9 first stages to date, with two returning to Cape Canaveral and four touching down atop Of Course I Still Love You in the Atlantic Ocean. This was the first succcess for this drone ship. The only recovery to be attempted to date on a launch from Vandenberg before Saturday came during last January’s Jason-3 mission; the first stage touched down on Just Read the Instructions. However, one of its landing gear failed to lock into position causing the stage to topple over and explode. The Iridium launch was the first mission for SpaceX and the Falcon 9 since August 2016 and is the first launch of the year for the United States. Falcon 9 is currently expected to be in action again at the end of the month, with the EchoStar XXIII communications satellite currently targeting an early morning launch on 26 January. The EchoStar mission will mark SpaceX’s first launch from the Kennedy Space Center, lifting off from the former Space Shuttle pad at Launch Complex 39A. Saturday’s launch was the first of a multiple-launch contract between Iridium and SpaceX, which will see at least seventy satellites orbited across at least eight Falcon 9 launches in as little as thirteen months. The next of these is currently expected no earlier than April.